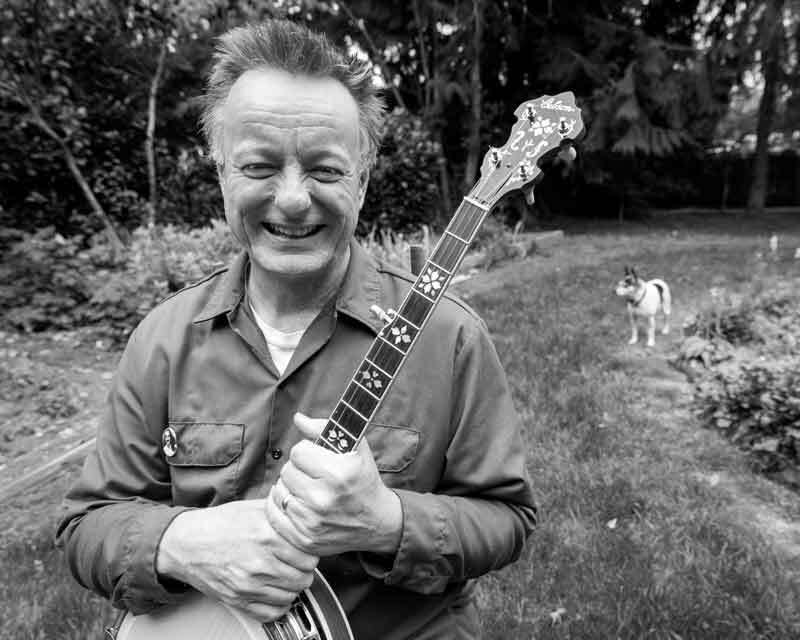 SEATTLE, WA — Banjo player extraordinaire and 2015 recipient of the 6th annual Steve Martin Prize for Excellence in Banjo and Bluegrass,Danny Barnes is described as “one of a kind” and widely acknowledged as “one of the best banjo players in America.” Barnes is recognized for his experimental sound. The raw and unpolished musical breadth of his compositions has propelled him across the industry today. Barnes released a new solo record Got Myself Together (Ten Years Later) on Austin, TX based Eight 30 Records on November 27, 2015. Barnes’ first collection in six years showcases a singular songwriter and player in peak form reworking his classic album Get Myself Together  (“Big Girl Blues,” “Get Me Out of Jail”) a decade on. A Texas native, Barnes is one of bluegrass music’s most distinctive and innovative performers. He is known for blending together different sounds which defy labeling while redefining the banjo’s perceived image in a wide-ranging and four-decade long career. From his early days as the driving force behind the impressive Austin-based Bad Livers, a band of pioneering Americana missionaries, through a prolific solo career and the development of his trademark approach he calls “barnyard electronics” (which is also the name of his 2007 album) that incorporates digital technology and various effect pedals to stretch the tonal range of the instrument, Barnes has always listened to his proudly offbeat inner voice. His live shows involve a computer program he built in max/msp and a banjo. “Every year it’s a very tough choice on our banjo prize. We all vote, narrow it down, narrow it down.” Steve Martin says to theRaleigh News Observer, “Danny is a real innovator and we want to make sure innovation gets honored over the course of the prize. He plays three-finger and he’s also not afraid to strum like an old banjo. You rarely see that, someone using banjo in all its capacities.” Got Myself Together hit the streets this fall and he’s already got another in the works for a straight up banjo record, and he’s working on a suite of contemporary music for banjo and tuba. Barnes has released over ten albums and has been featured on over 50 others. In addition to the albums, Barnes also has an avant garde “kinda” noise cassette tape label, Minner Bucket Records which specializes in limited run cassettes. Steve Martin Prize in Banjo & Bluegrass Winner, Danny Barnes Showcases His Artistic Evolution With New Release, Got Myself Together (Ten Years Later), on Eight 30 Records. “A great banjo picker with a sense of humor like no other” –Barb Heller, North Country Public Radio.